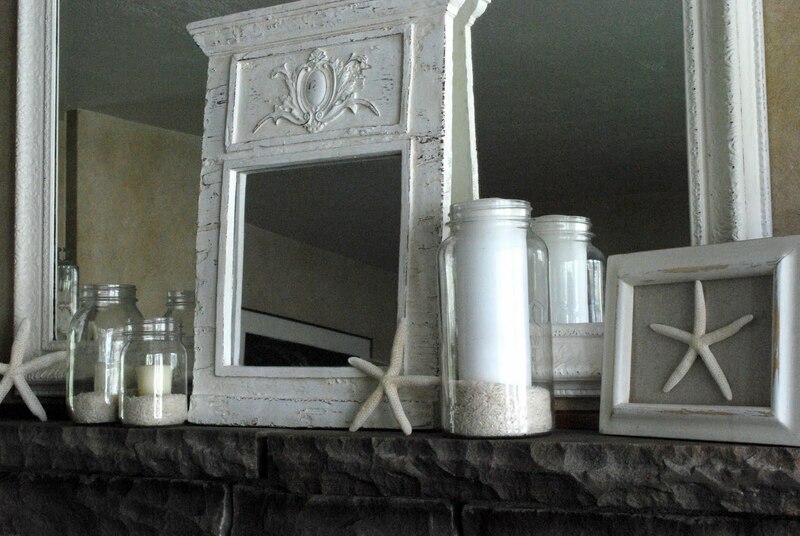 Because we are getting ready to move, I wanted to keep my summer mantel clean and simple. I opted to go for a serene color palette of sand and white, and to use beachy details to give me that summer on the beach feeling. I started by using the summer lanterns that I shared in this post. 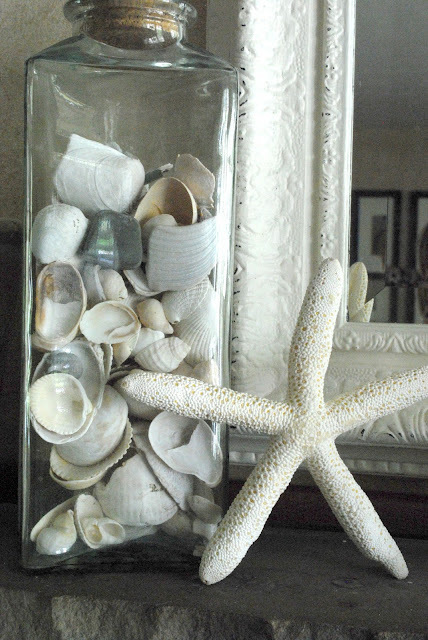 Then I just added in my jar full of seashells, and a few starfish. Really that's all there was to it. I really like the understated look. There's no doubt that it celebrates summer, however. 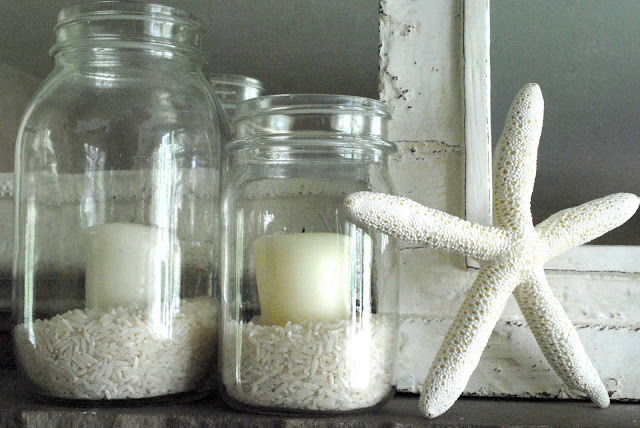 Nothing like seashells and starfish to create a summer-y statement. 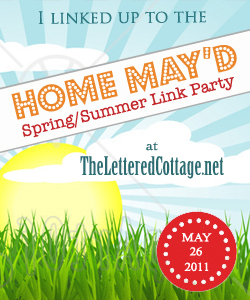 Linking up to Layla's Summer Mantel Party. It looks great. Simple and yet so much interest and texture. I love beachy, but especially in the summer. I love the freshness of this mantle. so cute and fresh! LOVE IT! Simple design is often what I'm drawn to. That effortless, beachy look is perfect for summer. I'm all about simplicity! Love the rice in the candle jars. Never would have thought to use that, but a great idea! Wendy, this mantle is so pretty! I'm loving it! Great job! Love it! The rice is a great idea. I love it! It's so pretty :) You've given me some ideas for the future. Thanks! the whites are all so pretty! 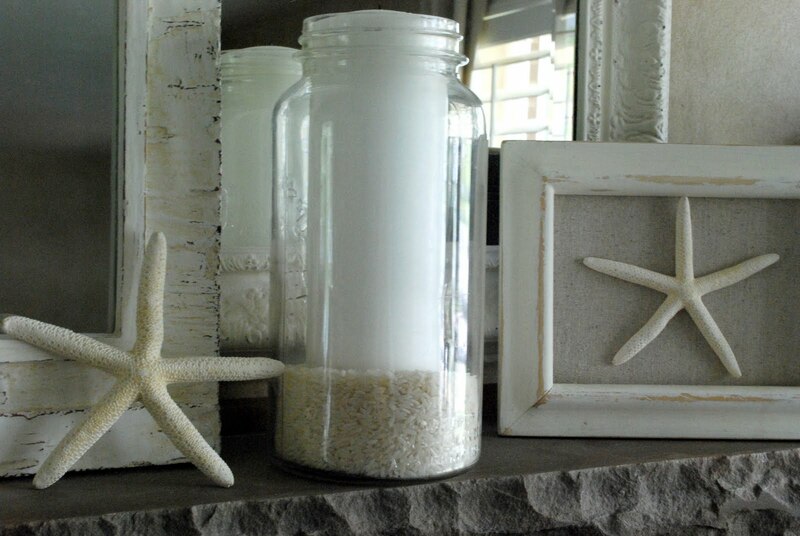 LOVE the idea of the rice in the jars with the white candles! This is gorge-ous!!!! I really love it, so simple yet stunning! I love the clean white look. And I'm loving the shells and starfish!! Hi...visiting over from the party. 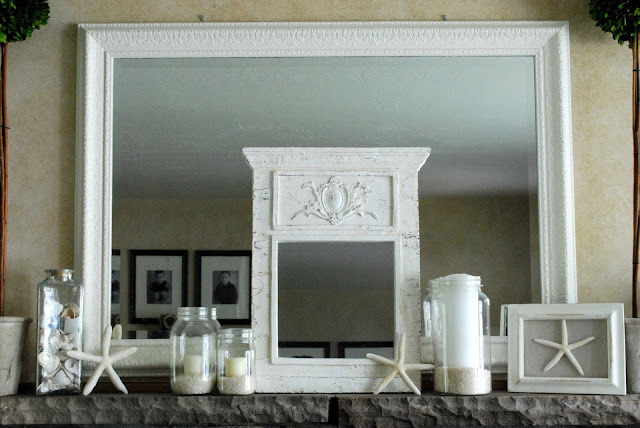 I have to say that you pic caught my eye because I used similar materials in my mantle. Also I love anyone who uses rice to decorate...I thought it was just me.